Anyone who has ever had to try to schedule an appointment to see the doctor know how much of a hassle it is to get those appointments set up, take time out of work to get you or or you family to those appointments, and sit in a waiting room forever for your turn. How about if there was an alternative? Los Angeles-based health startup Heal (www.getheal.com") has come up with its solution to that problem--a smartphone app driven service, which lets you schedule an on-demand, in-home visit with a doctor, who makes a housecall in less than 60 minutes. We spoke with Dr. Renee Dua, founder of Heal, about the startup, which is venture backed by Slow Ventures, March Capital and Pritzker Capital, along with angels Paul Jacobs (Qualcomm); James Lassiter (Overbrook Entertainment); Stephen Rader (Clarity Partners); Jamie McCourt; Lionel Richie; and Mike Wortsman (Univision). Tell us about yourself, and how you came up with Heal? Dr. Renee Dua: Let me tell you a bit about myself, and why Heal is the next big thing. I am a practicing physician, and have for over ten years been a board-certified nephrologist. I finished school in Chicago, and had my residency and fellowship in Los Angeles. When I finished school, I opened up a practice for myself in the San Fernando Valley. Those times were different, in terms of insurance payer capacity and patients, and I ended up becoming very busy. Nephrology is very male dominated, and it ended up I was the only woman doctor for a lot of distance. I became very busy, and ended up opening up more than one office, and was able to see patients in a variety of capacities. I ended up becoming Chief of Medicine at two local area hospitals for several years, and also maintained teaching position, overseeing both residents and fellows. I share that with you, because while I was in private practice, I was exposed to every aspect of medicine--academic, administrative, the private practice aspect. Ten years later, I found myself married, and had a family, and finally spent some time making a family. As part of that, I ended up taking one of my sons to the emergency room, because he had a rash. We waited for about eight hours until we were able to see the emergency room physician, and he told me -- there's nothing wrong with my son. He sort of made me feel foolish, considering that I was a physician and had trained there, but as a first time mother, I was also scared. We came home, my husband, my son, and I, and looked at each other, and said--there has to be a smarter way to do this. There has to be a more convenient way to get to see a doctor, with less panic and frustration. From there, I spoke with my husband about the concept and building our own company around that, and we called it Heal. It's exactly that--it's there to make you better. That was last year, and that brings us forward to now, where we are now launched in three different cities, and the concept has really taken off. There are many families like mine, where it's just too difficult to see a doctor. Do doctors really do house calls in this day and age? Dr. Renee Dua: I don't know a doctor who would not want to make a house call. The doctors on our service love the idea of seeing their patients in a different way. Imagine if you are a doctor in an office. You've got a waiting room full of people, and there's lot of pressure to handle new patients every nine or ten minutes. Plus, when you're seeing a new patient, you're hoping they came prepared with medications and background information. It not, that's thirty minutes of time the doctor just can't afford to spend. What's unique from the doctor's perspective in the home, is if a patient has forgotten something, they can easily grab it. Plus, you can see things like--even if the patient says they don't smoke, why do they have a pack of cigarettes on their counter? It changes how you focus your care. If the child has asthma, you can see that they have pets in the home, and as a pediatrician that changes how you care for that issue. Doctors love seeing patients in the home, because there's much more information, and you're on the patients turf, and it really allow you a rapport you can't get at the office. Isn't it a lot more expensive to have to travel to a patient's home? Dr. Renee Dua: Well, we've made it work. Our economics make it work out. One of the exciting things we've found, as we've been working with a lot of family physicians, is that Mrs. Smith will have us take care of her daughter Sally. She ends up very impressed of how that works, so she has us take care of Billy too, and before you know it, we're taking care of the whole house. We end up doing followups, and so maybe every two to three months we end up doing things like handling school shots, sports physicals, and essentially become the primary care doctor for the entire family. We end up being able to do four visits in an hour and a half, in one place, and that ends up being very profitable for Heal, and very profitable for the physician, and the patient hasn't even had to leave their home--they get everything right then and there. I see you're in the Los Angeles area, and now expanding. What's your strategy there? 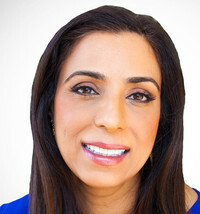 p> Dr. Renee Dua: We originally launched in Los Angeles, and we're now available all throughout LA. We also just recently launched in Orange County and in the Bay Area. The hope is, we'll be in fifteen metropolitan cities in a year. We see you actually started this company with a new baby--has that been a challenge? Dr. Renee Dua: (laughs) There's actually a newborn sitting in my lap. Heal is one of my kids too, it's just the same, it deserves the same recognition and attention, and I have the same kind of passion for the boys I have at home as with the company. It's definitely exciting and stressful, particularly when you're looking to change the world every minute. Finally, what should we be looking at from Heal in the next few months? Dr. Renee Dua: We're at a very exciting time. It's summer, but kids are going back to school soon, and coming home from vacations. What you can expect from us, is more procedures and care that we can do better in the home, and more capability, like doing lab draws, imaging, school physicals, and a big important one as flu season approaches, we'll also be doing flu shots at home too.